Almost everybody has moles on their skin, and they are usually completely normal and harmless. However, depending on their size and appearance, moles can sometimes be a cause of distress, and may be problematic if they’re catching on clothes, for example. Get in touch today to find out how the team at The Dermatology Clinic can help. Moles naturally vary in size and shape, but any unusual looking moles – or moles that are changing in appearance, or suddenly start itching, bleeding or weeping – should always be checked by a dermatologist. However, even harmless moles can be removed if they are affecting your confidence or causing discomfort. Find more information below on moles, and the treatments available at The Dermatology Clinic London. Do you have any dark, brown-coloured spots on your skin? These are moles, although they can also appear pink, flesh-coloured, black or even blue. A mole is a cluster of pigmented cells and most of us have between 10 and 40 of them all over our bodies. They can vary in size and shape and are either raised or flat. Most moles are harmless, but a changing mole can be a sign of skin cancer and should be reviewed by a dermatologist. Other moles can catch on clothing or make you feel self-conscious about your physical appearance. We usually recommend mole removal if there is cause for clinical concern, but we also carry out removal procedures for those who feel self-conscious about a noticeable mole, for example, a mole on the face. If you notice any of these symptoms, it’s important to contact The Dermatology Clinic as soon as possible to schedule a mole screening. During this appointment a member of our professional team will examine your mole and determine whether it needs to be removed. The exact procedure for removing your mole will depend on its location and size. In most cases, the procedure is done under local anaesthetic and our dermatologists use a scalpel to cut the mole from the skin. The gap is closed with stitches. The procedure will usually leave a scar, but this will usually fade and become less noticeable over time. If you have a raised mole, it may actually be a skin tag which can be removed with cold liquid nitrogen (this process is called cryotherapy). Although mole removal is a quick and simple procedure, it must be performed by a qualified professional. The team at The Dermatology Clinic have an abundance of clinical expertise and use sterile equipment and aseptic techniques to achieve excellent results. For a couple of weeks after the procedure, the site of surgery may feel uncomfortable and itchy as it heals, but any discomfort or inflammation should soon subside. If you experience any irritation after this time, contact the clinic as soon as you can. 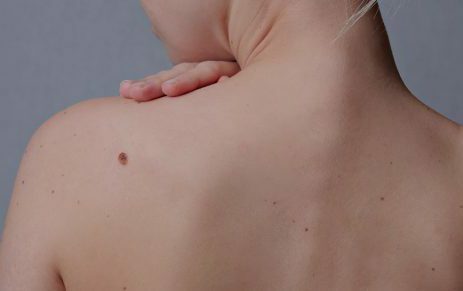 It’s important to keep an eye on your moles, particularly if you have a lot of them, are fair-skinned or have a family history of melanoma. Some moles are in awkward locations that make checking them difficult, for example on your back. The Dermatology Clinic also offers regular mole check sessions to help keep your mind at ease and make sure all your moles are healthy and harmless. 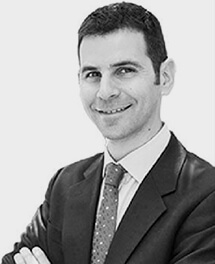 If you would like to book a mole check appointment or are worried about a new or existing mole, don’t hesitate to arrange a consultation with a dermatologists at our state of the art Harley Street clinic.